Carpet is perceived as a potential contributor to asthma and allergy. Making the right decisions about carpet starts with having the facts. That is why the Carpet and Rug Institute (CRI) sponsors scientific research and gathers data from independent sources to help professionals and the public make educated flooring choices. Visit carpet-rug.org to learn more. A 2003 study of more than 4,600 school children in New Jersey found that having carpet in a child’s bedroom was associated with fewer missed school days and less need for asthma medication. 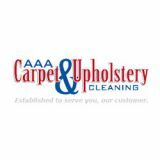 Carpet acts like a filter, trapping allergens away from the breathing zone so they can be removed through proper vacuuming and deep cleaning extraction. For best results removing pollutants trapped in carpet, use CRI Green Label vacuums and CRI Seal of Approval cleaning products. Details on these certification and testing programs can be found at carpet-rug.org. 1 Shishoo, R. and Borjesson, A. 1996. Allergy claims ‘unproved’. Carpet and Flooring Review (January 5). Airborne Allergens in Carpeted and Uncarpeted Dwellings. Solutia, Inc.